Ole'! Hank is in Spanish and coming your way! Hank is reaching even more audiences! Looking to brush up on your Spanish? Or, have a friend--young or old--who speaks Spanish?? Real friends don't let friends miss out on Hank...and here's your chance to share the fun!! 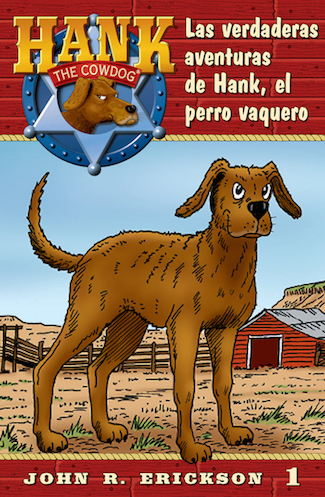 "The Original Adventures of Hank the Cowdog" is now available in Spanish as an ebook! (printed counterpart coming soon!) This new and improved translation maintains all of the fun and vibrancy of the original English version, and it's a GREAT addition to any Hank collection! AND, know of any Dual-Language programs in schools in your area?? Hank is a fun and engaging way to encourage students to learn! We hope you'll tell any teachers you know about this new Hank translation! As always, we here at Maverick Books hope you enjoy this latest offering! And, thank you for reading!